FOR NEW PATIENTS MENTION THE CODE “PERFECT SMILE” & RECEIVE A FREE EXAM & X-RAYS. A $300 VALUE! The care of your gums and teeth is a collaborative effort between patient and dental team. Regular check ups, cleanings, flossing daily and brushing twice a day are key to prevention and early detection. Our smiles can become transformed due to the wear and tear on our teeth over time. Treatments such as root canals, fillings, crowns or implants can improve your oral health. Restore that beautiful smile today. We want our patients to put their best, healthiest smile forward. Cosmetic services include: repairing broken teeth, stained teeth, implants, bonding, veneers or whitening. We help you choose what is best for your smile. Your child deserves a healthy smile for life. We create a relaxing and fun dental experience for your child, which establishes a life-long habit of good oral hygiene. Being the best goes beyond quality dental care. Dr. Randol has created a fantastic reputation for himself with his upbeat attitude and professionalism. He graduated from Oregon State University in 1996 and then completed his Doctor of Dental Surgery from University of the Pacific in 1999. 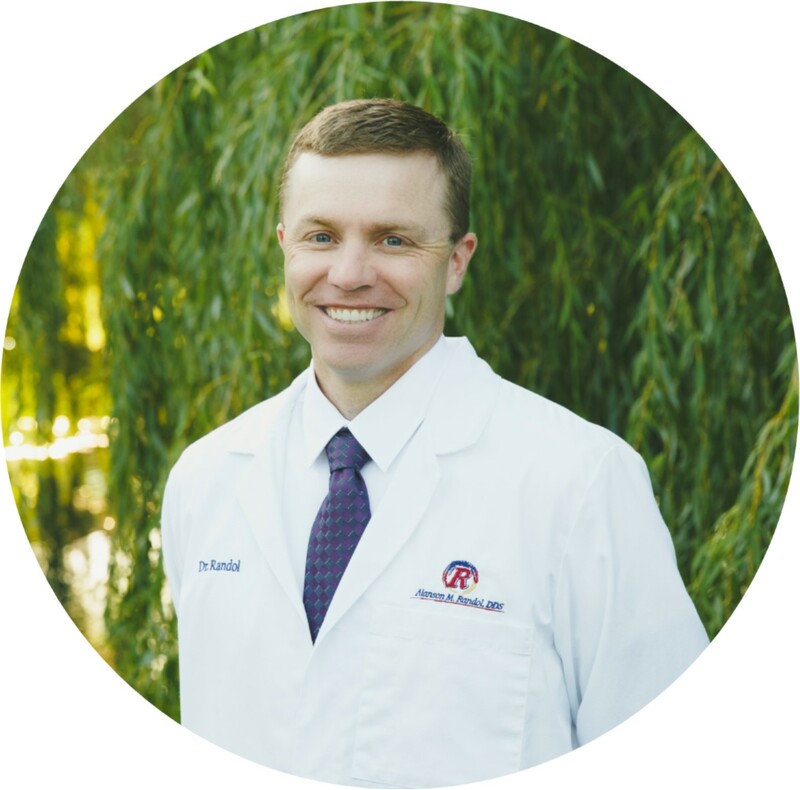 Only two months later Dr. Randol opened his own practice in Roseburg, Oregon. This practice has grown into the office you see today providing exceptional care to our patients and voted Roseburg’s #1 dentist for the last 8 years! He is a member of the American Dental Association, the Oregon Dental Association, Roseburg Rotary and the Umpqua Dental Association. Dr. Randol has also served as a board member for Umpqua Community Health Center, Umpqua Valley Cal Ripken, Umpqua Community College Foundation and the Oregon Dental Association House of Representatives. Dr. Randol also works as a Prefect Professor for Oregon Health and Science University, mentoring fourth year dental students during their rural rotation in our office. When not in the office Dr. Randol strives to maintain a very active role in the community. From little league baseball, to several other local organizations, he enjoys being a part of what is going on around town. With over 18 years of experience Dr. Randol is committed to providing his patients with quality care in a comfortable environment. He wants his patients to leave feeling like they received the best possible care to achieve that healthy, beautiful smile they have always wanted. Formerly of The Dalles, Oregon, Dr. Gaunt knew she wanted to be a dentist at the age of 13. Her patients describe her as compassionate and trustworthy. She genuinely cares about people and wants to give them confidence in their smile. 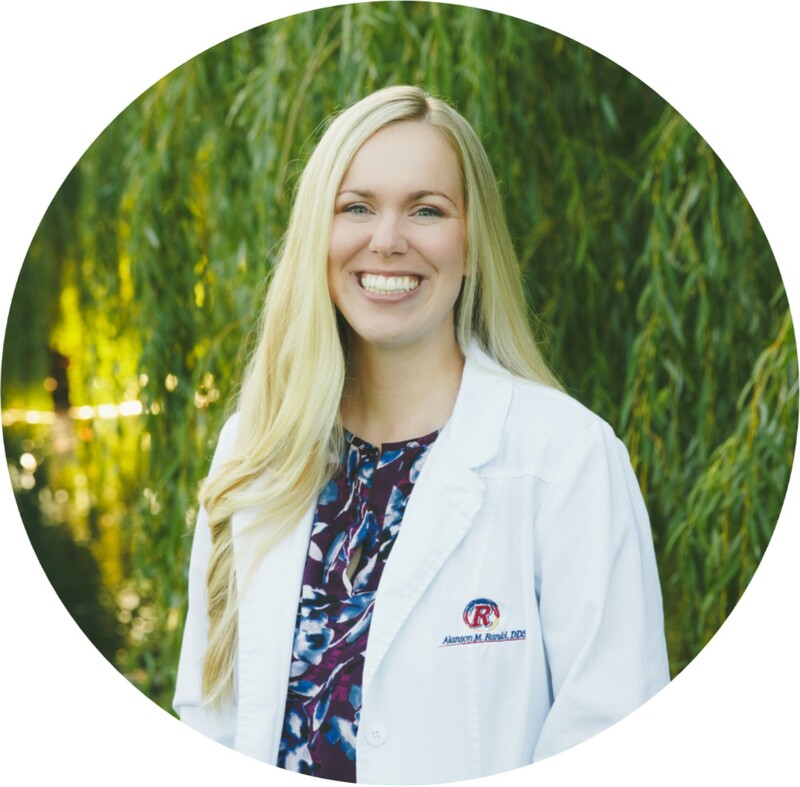 Dr. Gaunt graduated from Oregon Health and Science University with her Doctor of Medical Dentistry. In June of 2016 Dr. Gaunt joined our team. As a fourth year dental student she had completed a four week rotation in our office we knew then that she would be a great fit for our practice. She enjoys that the staff here is so welcoming, gracious and friendly, but also appreciates working in the upbeat team atmosphere of our office. In Dr. Gaunt’s first year practicing with our office she was featured locally in the News Review “Professionals 20 Under 40” article. Dr. Gaunt is married to her wonderful husband, whom she met in college. Together they have a beautiful daughter. In their spare time they enjoy playing sports, going to parks, serving at their church and spending time with family. On her own, she enjoys crafting and gardening. Dr. Gaunt is excited to help people make their smiles healthy and wants her patients to feel that they got the best treatment possible. She excels at providing her patients with the utmost comfort while helping them on their journey of getting that confident smile they have always deserved. Get a feel for what you will experience when you visit. Our aim is to provide you a distinct dental experience. From the moment I walked into Dr Randol’s office until the moment I left, I was treated like a valued friend. The office staff greeted me walking in the door and made me feel comfortable while waiting my turn. The wait was short. The X ray tech was quick, efficient, and friendly. Dr. Randol did not rush through the exam, but took time to make sure all my concerns were addressed. I needed my teeth cleaned and got an appointment on the same day. I couldn’t be happier.